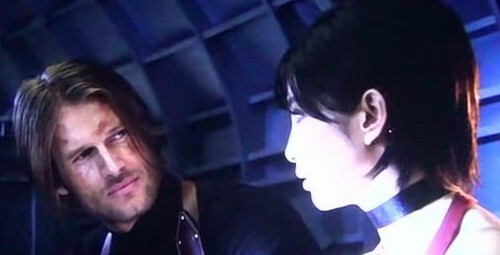 Leon and Ada in Resident Evil Retribution. . Wallpaper and background images in the Resident Evil club tagged: resident evil retribution leon kennedy ada wong johann urb bingbing li 2012. This Resident Evil photo might contain porträt, kopfbild, nahaufnahme, portrait, headshot, and kopfschuss.